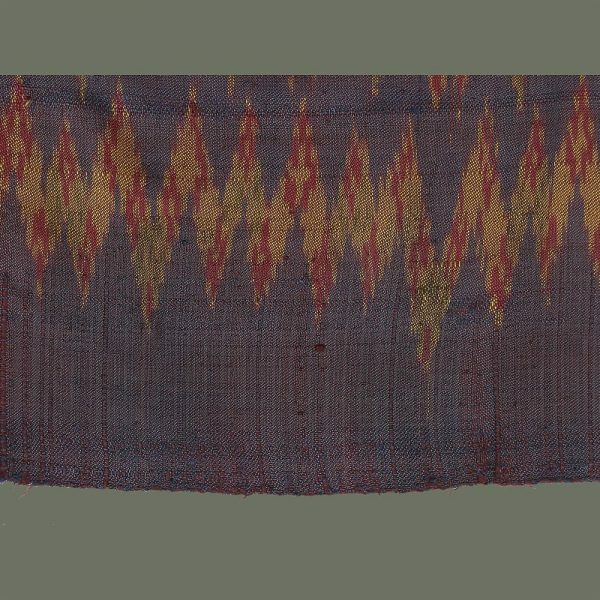 This unusual silk ‘mutmee’ tubeskirt has a design that changes from top to bottom in a wild and fiery, oscillating combination of colors. 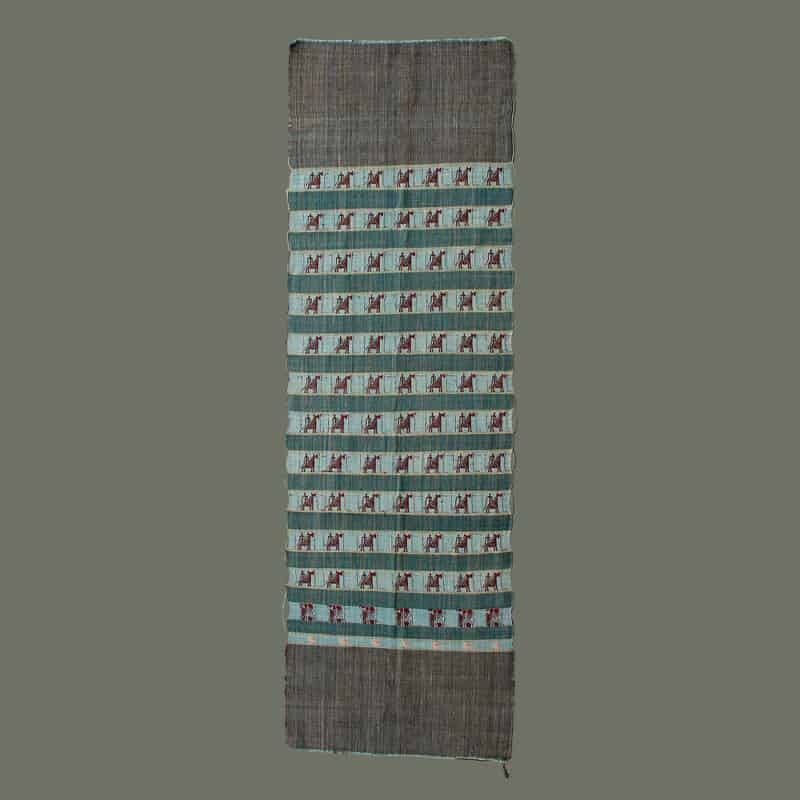 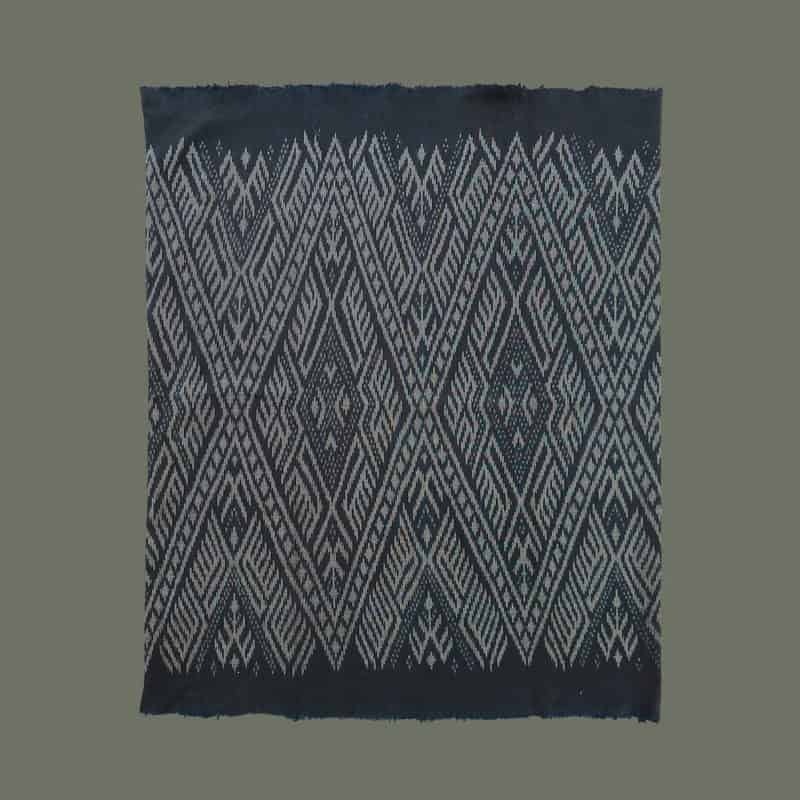 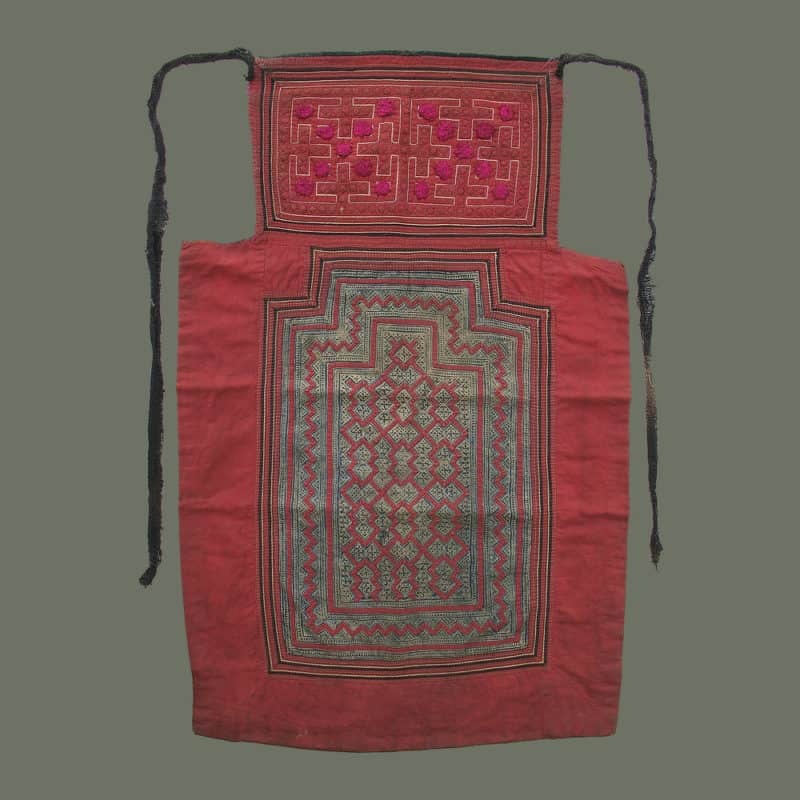 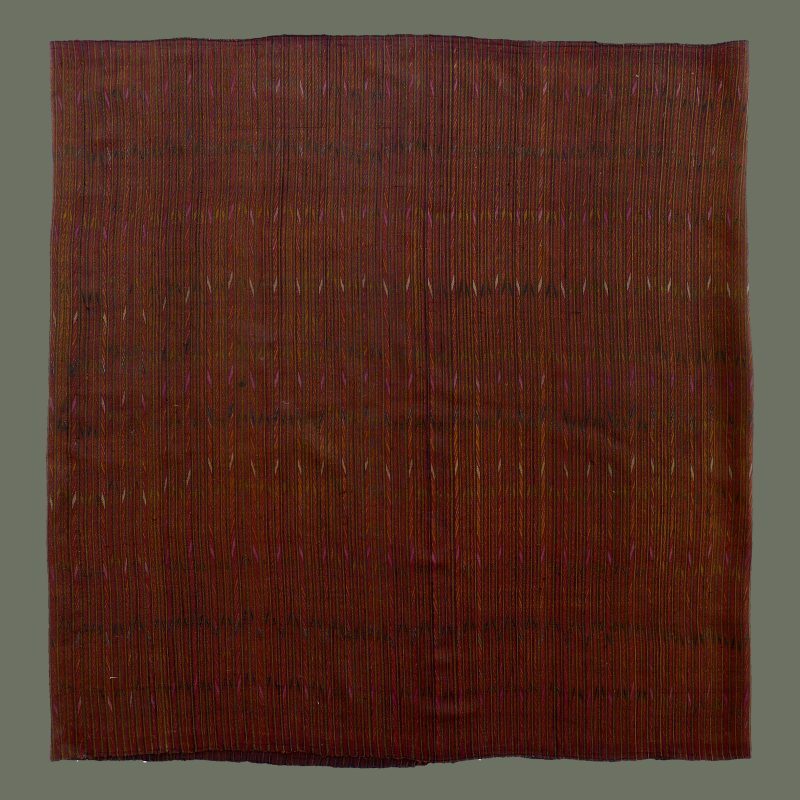 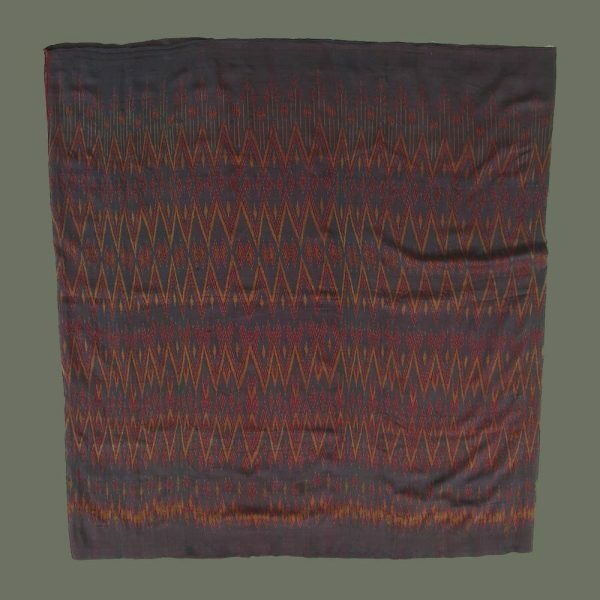 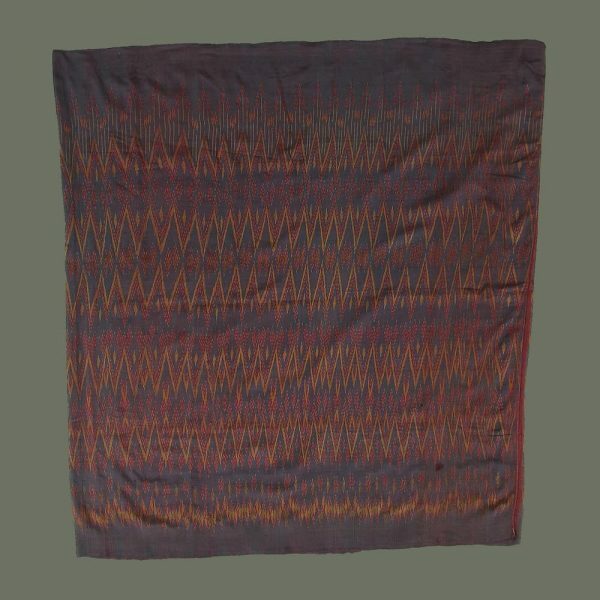 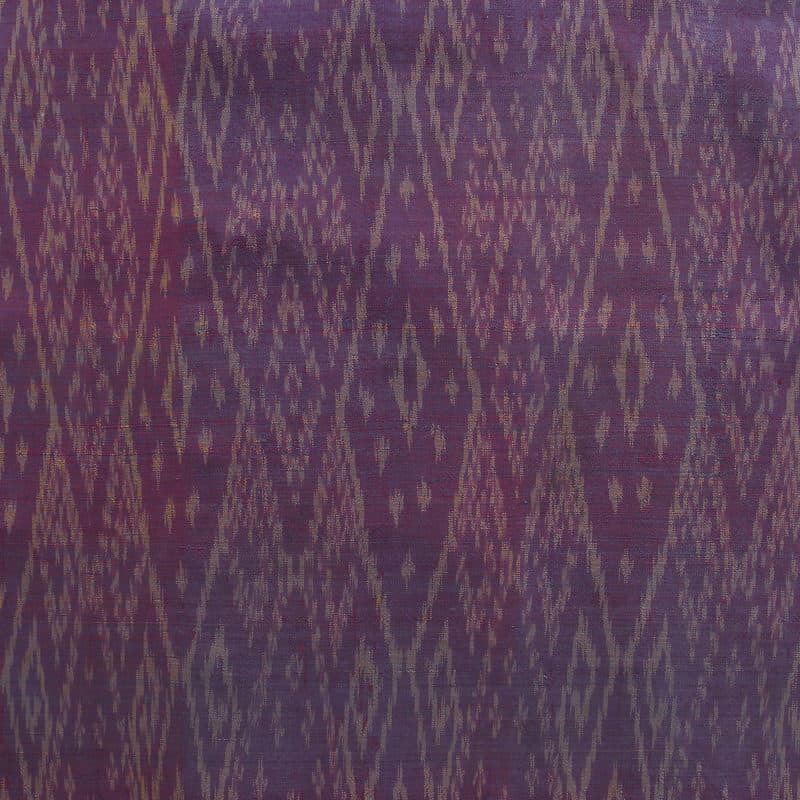 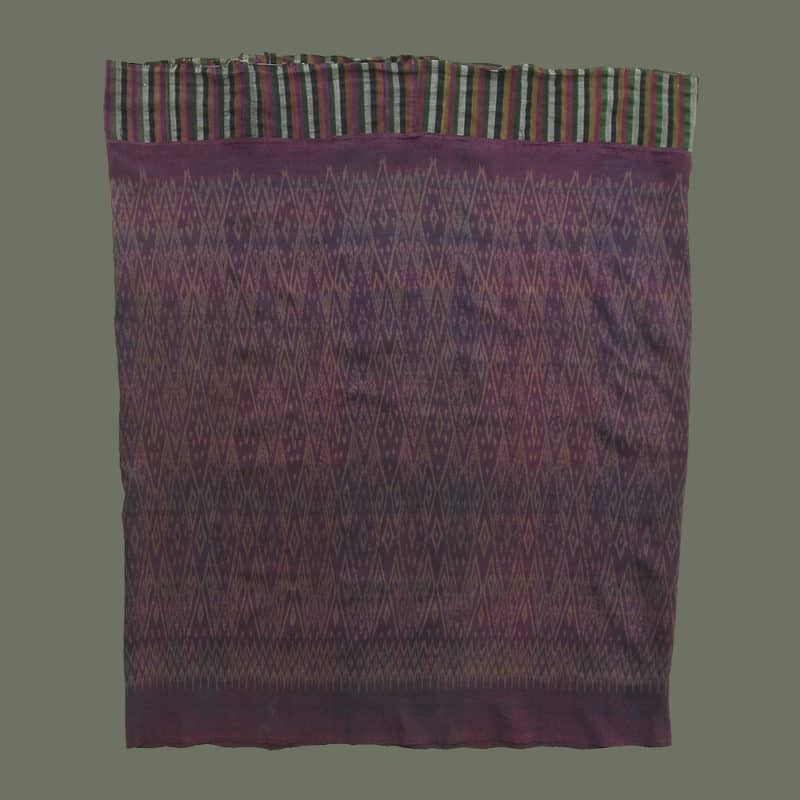 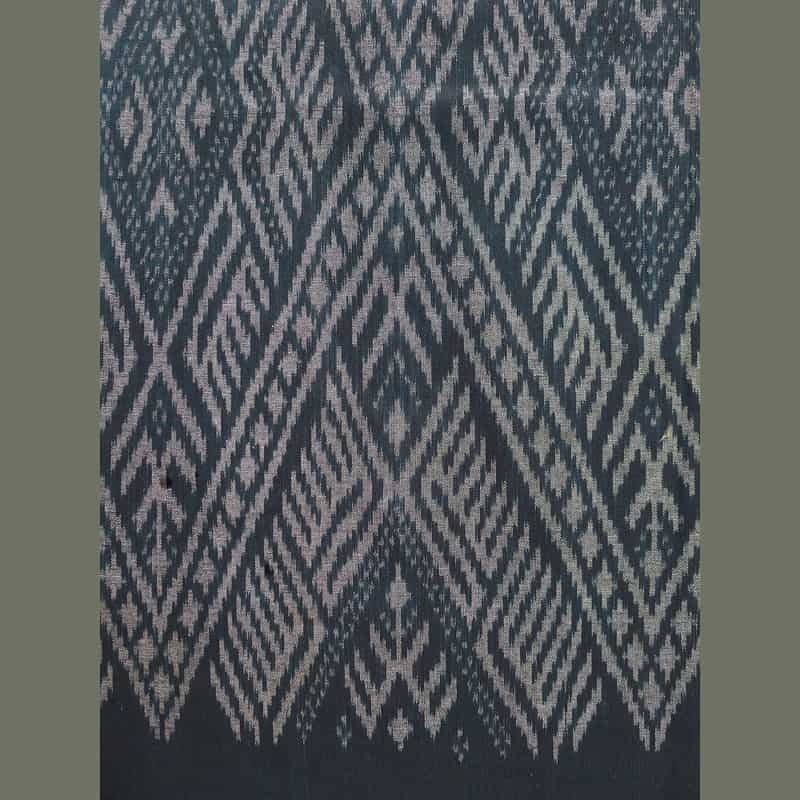  It is woven of very soft, liquid silk in a twill weave which suggests a weaver of Khmer origin in Issan/NE Thailand;. 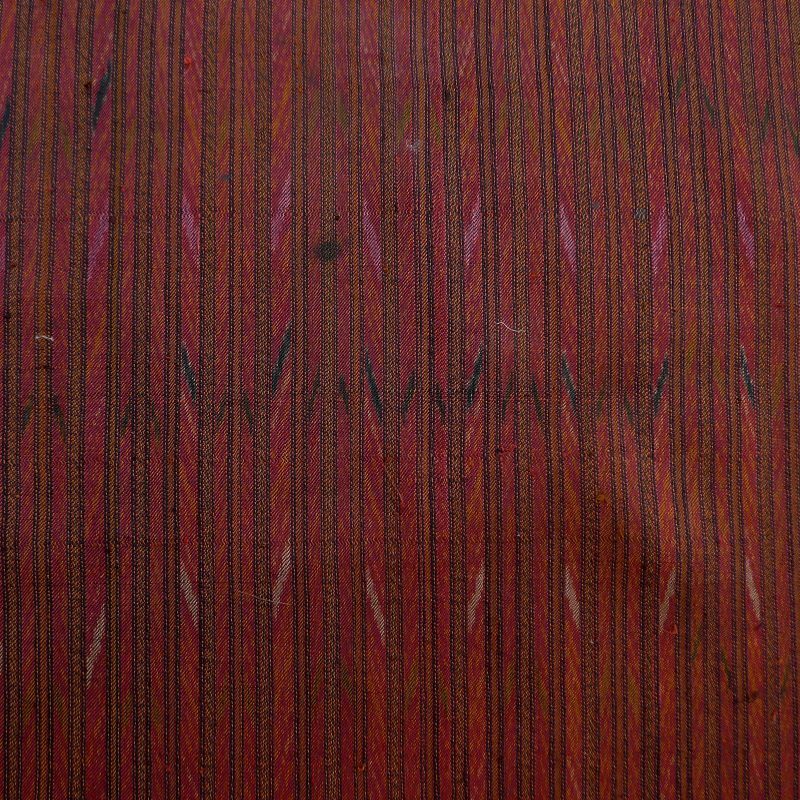 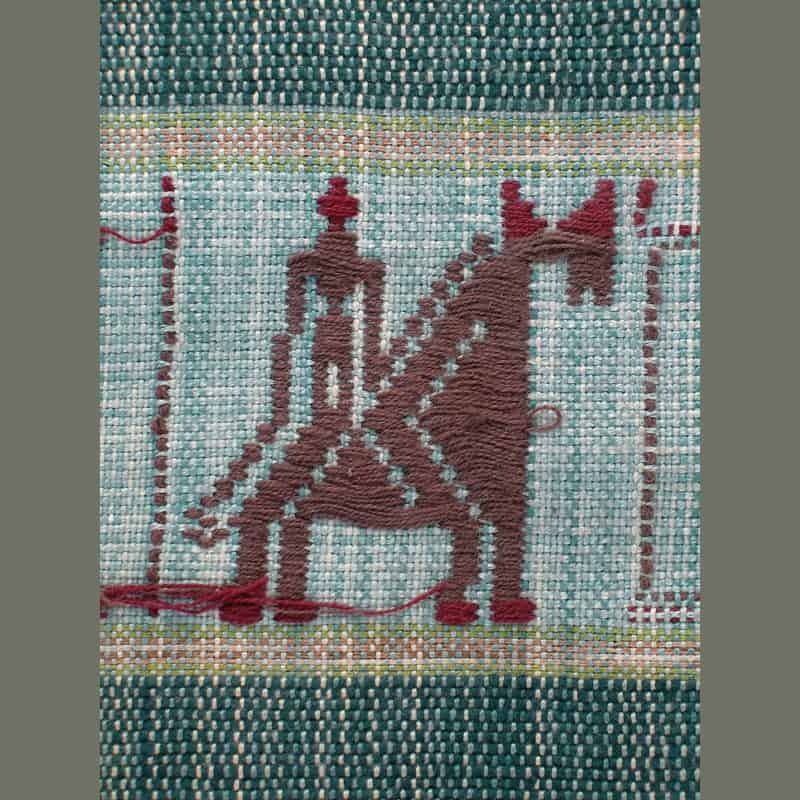 Weft threads are turned back at close intervals, indicating the care with which it was woven. 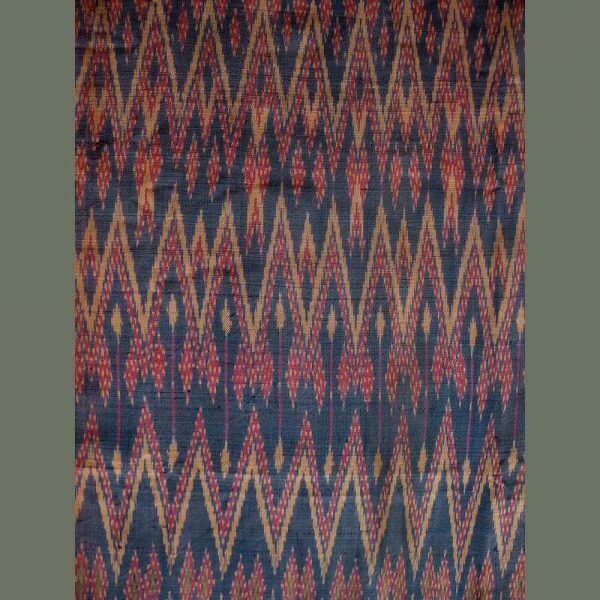 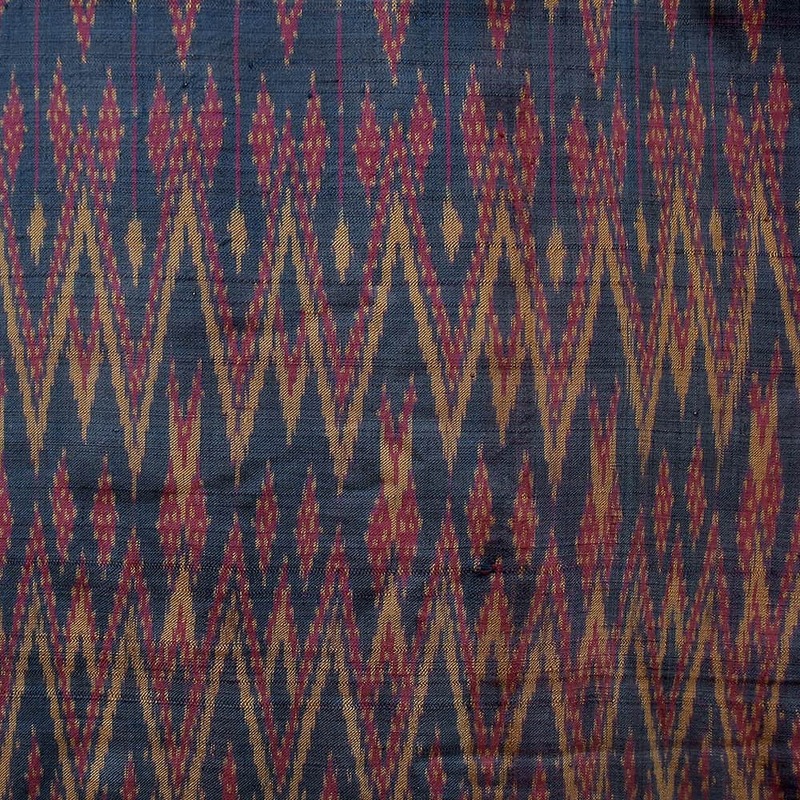 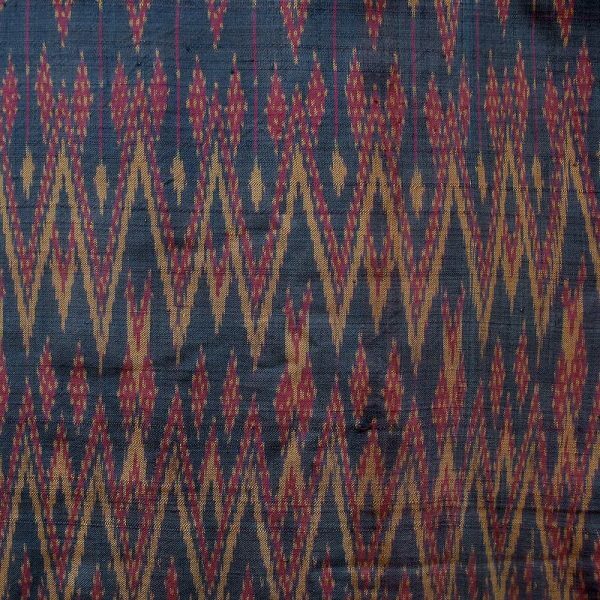 The colors are really beautiful with a dark red warp and weft ikat in dark blue, gold, red and olive green. 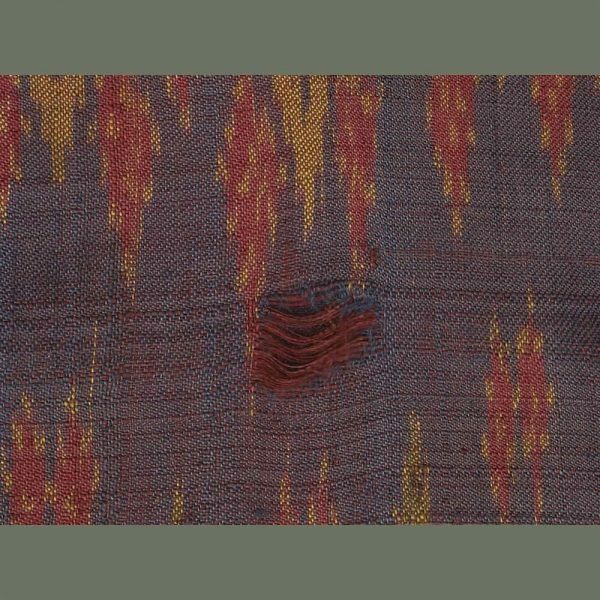 Condition is very good with only a few small holes. 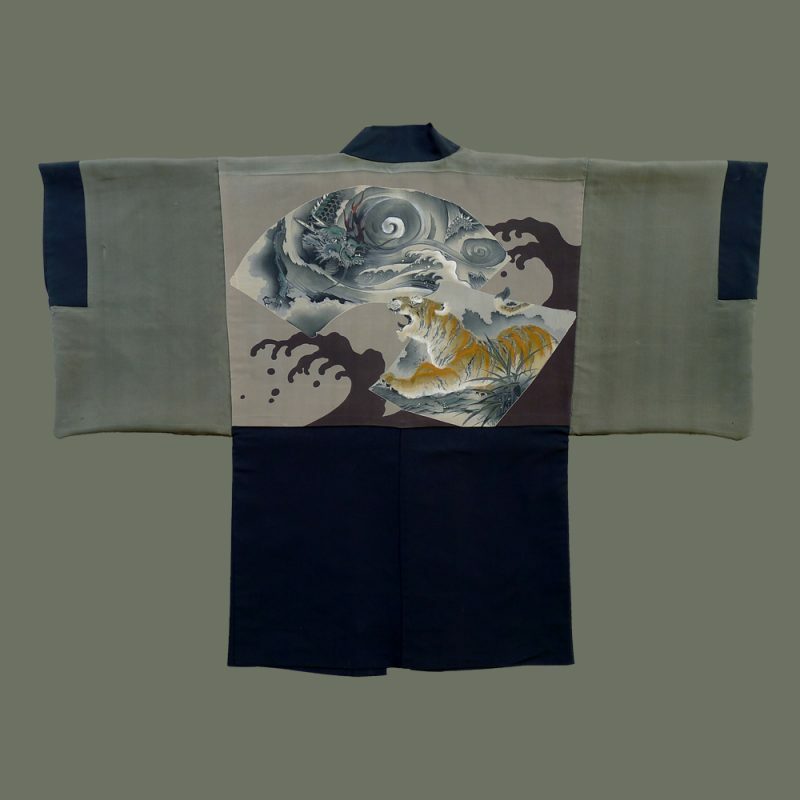 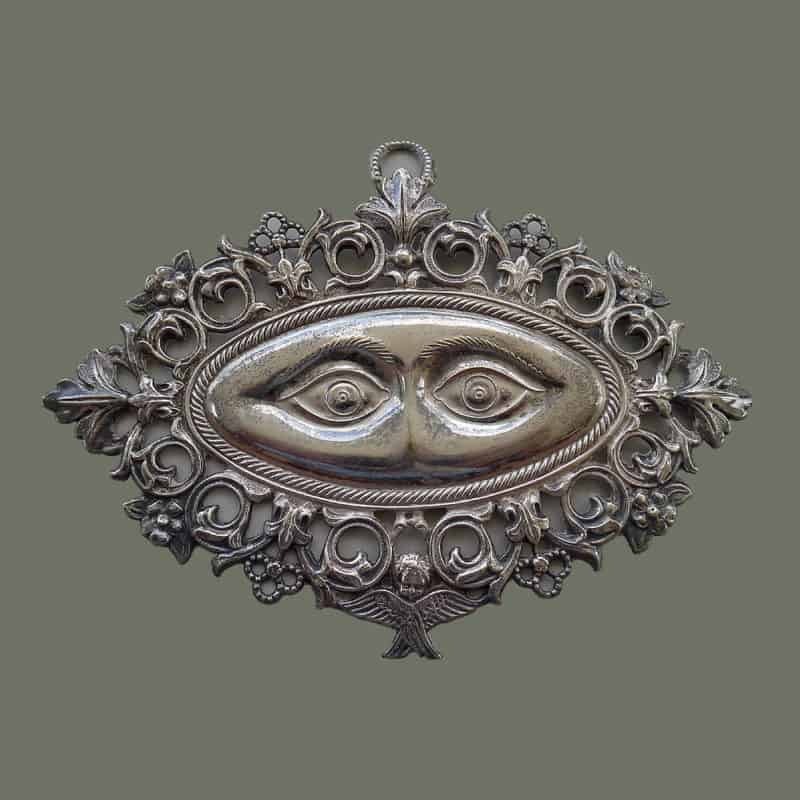 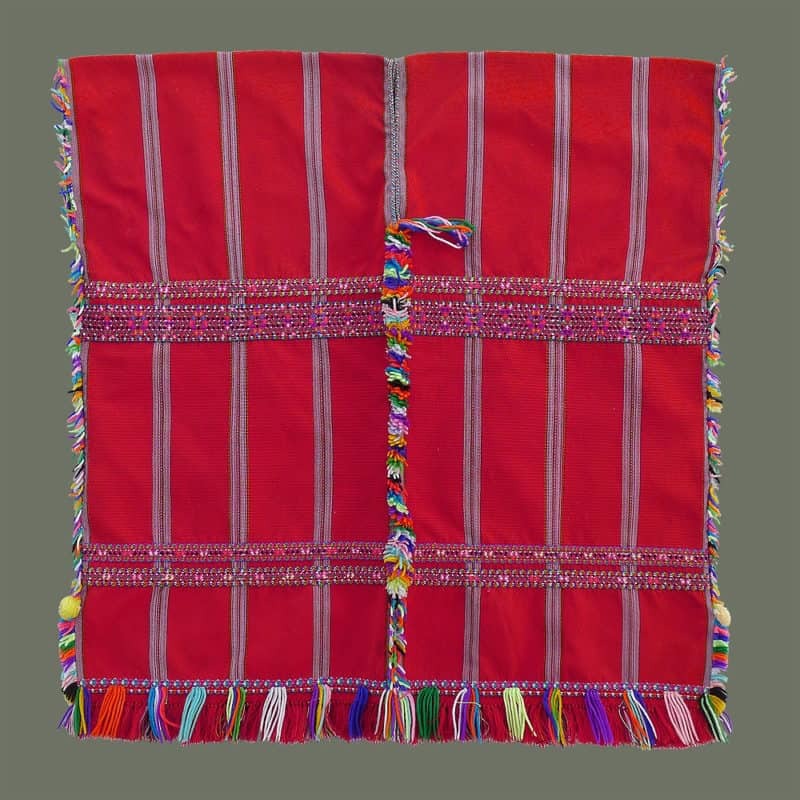 This would display well if opened up, or could be worn as a skirt or scarf.